So, there were two pies. Were being the key word there. The other one may or may not have gotten eaten. I really can't say. I did manage to save one though, so that's something. Right? Last night my flatmate, Arden, and I set off on a pumpkin extravaganza. After an evening of drunken debauchery, we decided to have an evening of good, clean fun. Arden dragged me out of my bed, threw me into an Autumn-y sweater, and marched me off to Tesco. What began as a trip to pick up the missing ingredients for our evening pumpkin feast, turned into an urban (though I'm not really sure I'd classify St Andrews as urban) pumpkin picking experience. Arden giddily picked out the biggest pumpkin there and plopped it into our basket. We tottered home, pumpkins and maple syrup in tow, and settled down for the night. After pumpkin soup with caramelized pancetta and onions with a side of Arden's special mushy lentils, it was time for dessert. 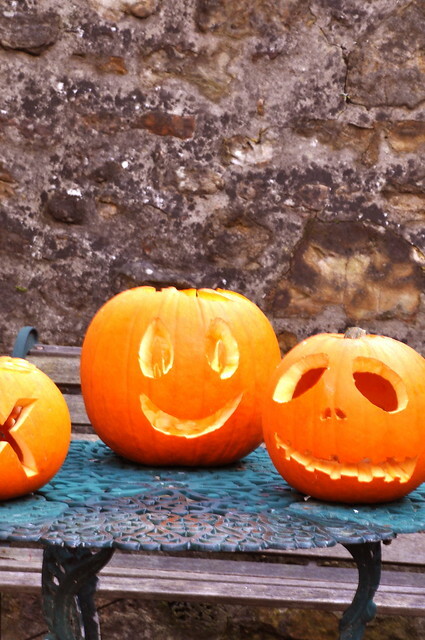 While Arden carved an X- for 10 Greyfriars, of course- into a pumpkin, and I whittled away at Jack Skellington, the hypnotizing scent of pumpkin and cinnamon and maple syrup wafter through the kitchen. I think we were a little over-eager, as the pumpkin custard wasn't quite set, when we slid them out of the ovens and swiftly cut a few slices. 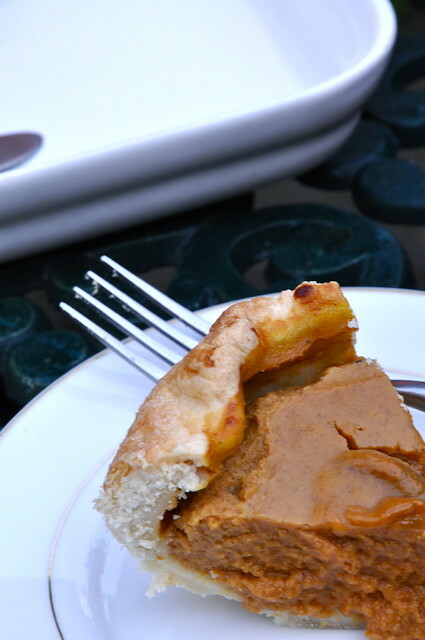 Pumpkin pie is one of my all-time favorite foods. 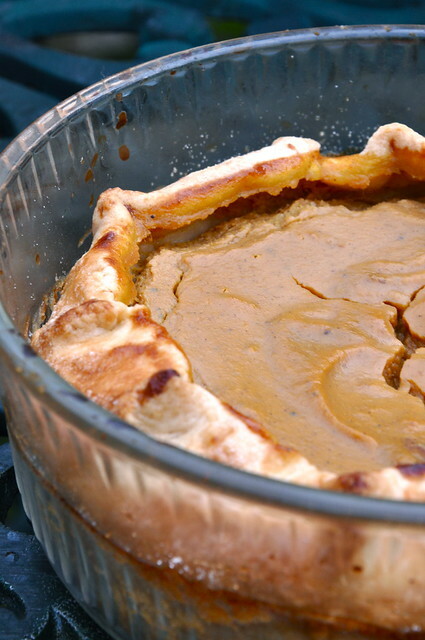 I'm not usually a pie person, but I always make an exception for pumpkin pie. I'm planning to test a few different recipes so that I can nail down the perfect one before Thanksgiving. This one was really great- not too sweet with a nice, smooth custard. I don't think I'll settle just yet, but if you are in a pumpkin-y mood, and let's face it, how couldn't you be, do give this one a go. Preheat oven to 375. 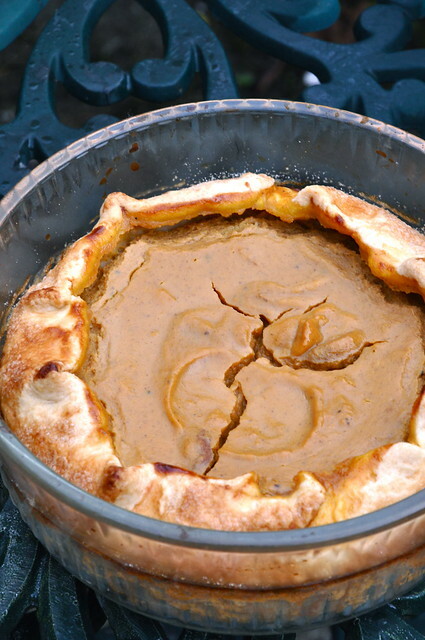 Roll out pie crust to 12-inch diameter to fit a 9-inch pie plate. Drape crust over pie plate and set aside. In a medium bowl, whisk pumpkin puree, eggs, spices, and salt together. In a separate bowl, whisk milk, maple syrup, and vanilla together. Slowly pour milk mixture into pumpkin mixture, whisking to combine. 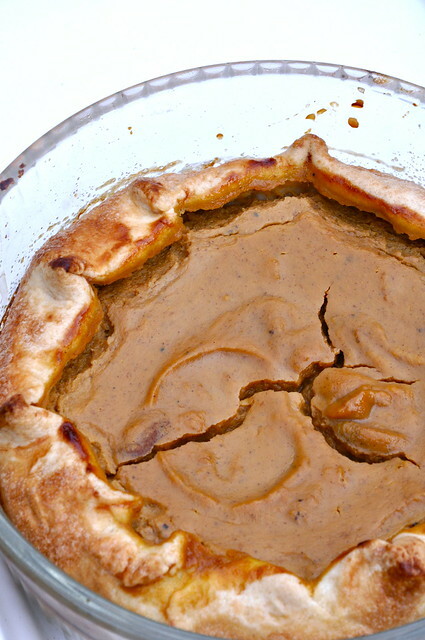 Pour custard into prepared pie crust. Fold over edges, crimping if desired. Brush exposed crust with extra milk and sprinkle with Turbinado sugar. Bake for 50 minutes to 1 hour, until custard is firm to touch and crust is golden brown. Let cool on a wire rack.